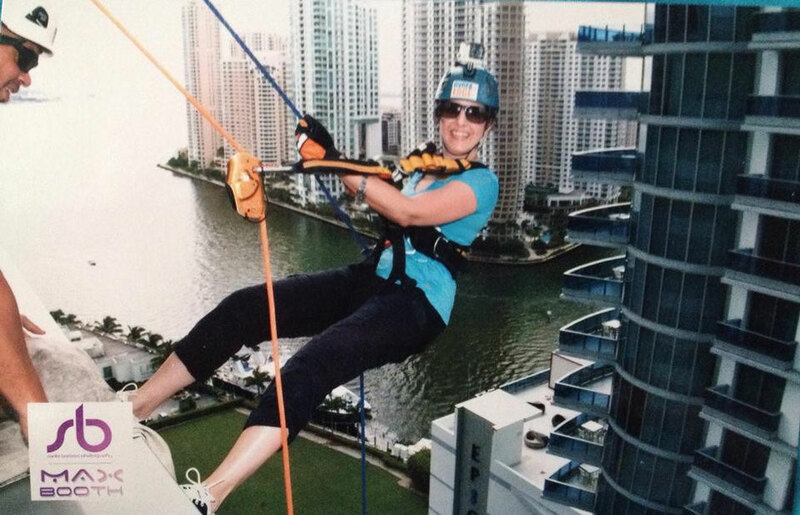 This June 3rd and 4th 2016, I will be rappelling again 19 stories down the JW Marriott Marquis in Downtown Miami to raise funds for Miami Children's Initiative, a non-profit organization that advocates statewide for children and families living in poverty and provides needed support and services to children and families living in Liberty City, Miami. I am honored to be part of the host committee for Miami Children's Initiative Over The Edge fundraiser 2016 event. I am getting more involved with the actual organization itself, and I’m looking to sign more people up to go over the edge with us. Let me know if you want to join our team, HELP BPB, PWA & ORION TOSS BARRY BRANT OVER THE EDGE. Yes Barry, my boss at BPB, will be rappelling with us... after going to watch me go over the edge last year, he decided to join and help bring awareness and raise funds for this wonderful organization. You can also sign up individually or create your own team, click here to register, but email if you have questions or need help signing up. We are also looking for corporate sponsors, so let me know if you can think of anyone you know that could be interested, or a contact that may open a door for us, at a Law Firm, Foundation, or any type of Miami business. All we need is a contact so Cecilia Gutierrez, the CEO of MCI can meet with them and tell them all about this wonderful cause. Here is more information about the organization so you can see how the money we raise is making such a wonderful difference in the lives of these kids and their families: Miami Children’s Initiative. Here is our fundraiser video, please take a minute to watch it: https://vimeo.com/121110693. If you are not up for a crazy but safe adventure, please click to donate: https://give.classy.org/skydiver27 every little bit counts! Let’s be superheroes for the children!